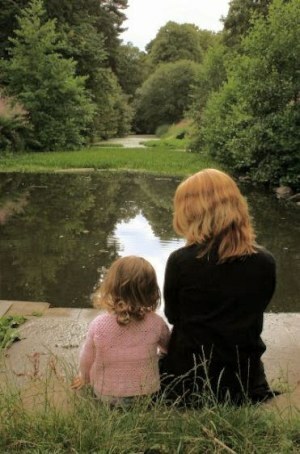 Research has discovered 12 sets of behavior that you can learn to do which can convey healthy real love to a child. As parents focus on these 12 different but related sets of behavior their parenting tends to improve, even when it is already quite good. Each of these sets of behavior triggers different beneficial biological, psychological, and relational positive developments to a child’s growth and well-being. As you learn and practice each of these sets or clusters of behavior you may achieve many crucial and even momentous improvements in the raising of your child or children. 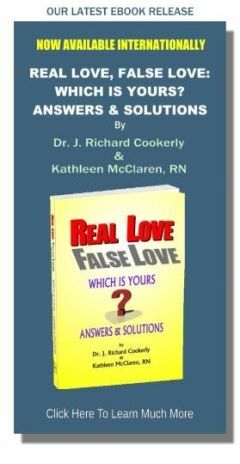 Here is a brief beginners introduction to these love behavior sets which when learned can greatly improve the health and well-being of your child or children, your parent/child relationships, and your parenting effectiveness. Loving touch covers hugs, pats, cuddling, holding, playful roughhousing, uplifting, caressing, stroking, back rubs, gentle back scratching, playful hair messing, hand holding, and other physical demonstrations of affectionate love. In doing these it is important not to touch in ways that are suffocating, overly restrictive, limiting, controlling or unwanted. Loving words covers speaking words of love: saying “I love you”, using terms of endearment, positive acclamations, stating thanks, cheering for, praying out loud with, using positive and laudatory nicknames, using inclusion terms like “we” and “us” and words of bonding, making statements of dedication, commitment, and comradeship with a loved child, giving statements of empathy, sympathy, commiseration, using special loving phrases and language unique to the relationship with the child, and delivering these words in both spoken and written form. Facial expressions like smiling toward the loved child, looking appropriately concerned, using empathetic expressions, looking happy at and with a loved child are expressionally loving. Using loving tones of voice, tones of care, and using tones with facial expressions that show pride in the child, a friendly manner especially while listening; whistling, singing and humming for and with a child are expressionally loving. Showing body language like open arms gestures, giving a thumbs up, doing a ‘V’ for victory hand gesture, and doing “I love you” hand signals, running to meet a loved child, behaving with body stances that show acceptance and inclusion, turning toward a child when they talk, making good eye contact with obvious positive facial expression, all show expressional love. Expressions that are unloving in tones of voice, facial expressions, gestures, postures, etc., and especially those which might convey a demeaning attitude, indifference (flat or dull), or rejection are to be avoided. Giving tangible, ‘object’ gifts: especially desired objects, needed items, symbolic items, and sometimes money can demonstrate love. Giving gift ‘experiences’ like surprise birthday parties, organizing special events, taking a child to special experiences, sharing play together, arranging for a child to have both desired and needed experiences for enrichment, enjoyment, health, growth and development, and facilitating a child’s own desired experiences can demonstrate love. Actions of love which affirm the high value of the child such as active listening, attending to, giving positive feedback, complimenting, praising, challenging for higher performance, rewarding, honoring, ‘being there’ for, attending important occurrences and events, encouraging, critiquing constructively without criticism, showing pride in, pointing out strengths and qualities, showing interest in a child’s interests and involvements, giving time to, being patient with, and all behaviors which show a child that the child is affirmed as being important in his or her unique existence, essence and idiosyncratic dynamics can be affirmation love behaviors. Tolerating the nondestructive actions of a child, guiding without anger or personal disapproval, allowing cathartic expressions within boundaries, showing patience, accepting differences, dealing with the child via nonjudgmental approaches, disapproving of undesired action but not of the child, showing forbearance, mercy, benevolence, giving democratic choice, treating mistakes with kindness, not taking personally or with anger a child’s not yet improved words and actions or poor acts, showing leniency and sufficient clemency, conceding points in discussion, not allowing minor annoyances, aggravations, etc. to have a large negative response, and being able to be amused at minor mistakes and shortcomings all demonstrate tolerational love. Discussing in appropriate amounts and at appropriate times who you really are, and how you really feel, think, act, etc., showing human imperfection, idiosyncratic ways, sharing one’s own inconsistencies, preferences, qualities, sharing life experiences, history, aspirations, etc., acting approachable, revealing how one goes about being their more intimate true self, showing vulnerability, admitting mistakes, areas of ignorance and foibles, allowing a child to see one’s victories and failures, competencies and inadequacies, and the general methods and approaches one takes to problems, projects and preferences, revealing interests, talents, and not faking or giving misleading images or impressions including those disguised by excessive modesty or egotism, while especially sharing one’s wide array of human emotions all display self disclosure love. Also revealing what one is good at, proud of, glad about, personally pleased with and victorious in demonstrates self disclosure love. Lovingly receiving a child’s expressions of love and their demonstrations of sharing themselves via showing appreciation, adequate regard, interest and approval, avoiding discounting, demeaning, and undervaluing of a child’s efforts, attempts, accomplishments, partial successes, failures and mistake, all these endeavors show receptional love. Especially valuing immature efforts at sharing love, altruism, kindness, creativity and positiveness while avoiding indicators of personal rejection or indifference toward a child’s sharing and attachment efforts also demonstrate receptional love. Any and all actions which nurture the health, happiness and well-being of a child including care giving, supportiveness, guidance, advocacy, preparation, sustenance provision, reinforcement, opportunity provision, training, education, sharing, inspiring, etc. demonstrate nurturing love. Actions that safeguard the health and well-being of a child including defending, sheltering, preserving, overseeing, sentinel action, scrutiny, guardianship, taking prophylactic action, setting limits, teaching safety, establishing appropriate boundaries, working to increase a child’s safety related protective proficiencies (swimming, danger awareness, etc.) are demonstrations of protective love. Any and all actions which work to heal and repair damage to the child, or things vitally important to the child’s health and well-being including providing physical health care, mental and emotional health care, and relational care including comforting, medicating, cleaning, healing touch experiences, recuperative assistance, diagnosis and treatment of injuries and sickness, rehabilitation efforts, disability assistance, recuperative exercise, etc. are demonstrations of healing love. Practicing transpersonal love behaviors such as intercessory prayer, health projection meditation, ritual healing exercises, transpersonal connection focusing, worshipful awareness, lingering together with awe, awareness of oceanic joining, especially sharing universality union experiences, helping to create a profound sense of bonding together, exploring for deep shared spirituality, engaging in joint, meaningful and strongly felt rituals, partnering together for and in significant family and personal rites, sharing support in times of high consequence and gravity, striving together through times of high purpose and portends, engaging in actions which bring a sense of mystical connection, sharing intense beauty appreciation, and working to be deeply moved by intense, intimate core connecting all can demonstrate metaphysical love. Note: Each of these sets or clusters of behavior have been found to trigger healthful brain and body chemistry responses in both children and parents. Each of the sets of behavior can be interwoven with the others and often results in improved parent/child bonding, greater relational harmony, and an increase in psychosocial maturation and successful living. Each, however, takes work to learn plus consistent practice and refinement as a child matures. A great deal more can be learned about each of these clusters of love conveying behavior but hopefully this is a sufficient introduction. Remember that love is natural but how to love and especially how to love powerfully and effectively is learned. May you and your child, or children grow with love! After reviewing “How to Love Your Child Better” will you choose a somewhat different or uncommon love demonstrating action that you can do with, toward or about a child of yours, and do it today?